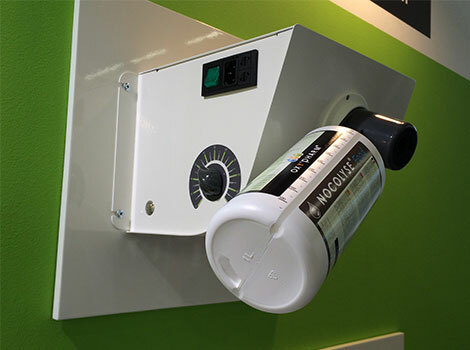 Developed around a heating and ionizing turbine that transforms and emits the Nocolyse range of chemicals into a non-corrosive, non allergenic, biodegradable gas – with no residue. 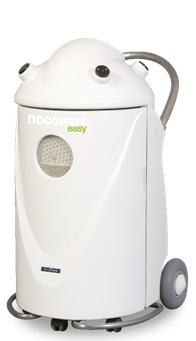 The Nocospray and Nocolyse concept offers a new generation of fully automated ‘no touch’ room decontamination based on hydrogen peroxide. Proven and approved effectiveness against flying and crawling insects plus bed bugs with costs among the lowest on the market. Developed around the same innovative technology as the Nocospray for significantly larger target room volumes up to 20,000 cubic metres. To be used with all Nocolyse and Insecticide chemicals in the range using 20L drums which are housed within. 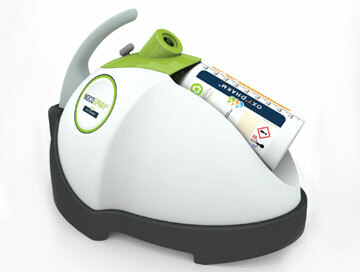 Enables the use of Nocospray as a fixed appliance. Delivers the same airborne automated diffusion of decontamination products as the portable Nocospray but from a permanent wall siting. Ideal for use in transport, single use applications where storage may be an issue or where plug in power source is not permitted or available (e.g. washroom/toilet areas). 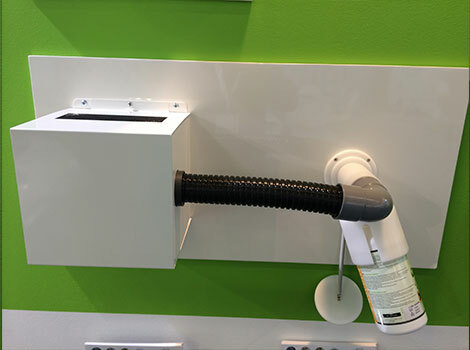 The Wall Mounted Nocospray with Wall Crossing System is fixed to the wall outside the target treatment area and diffused via the wall cross hose and through to target area. Designed for use in some medical vehicles where internal and external wall are separated with a cavity in which the device is placed. 10-250m3 – purchase code 3009.061. 50-1000m3 – purchase code 3009.063. 10-250m3 – purchase code 3009.071. 50-1000m3 – purchase code 3009.073.